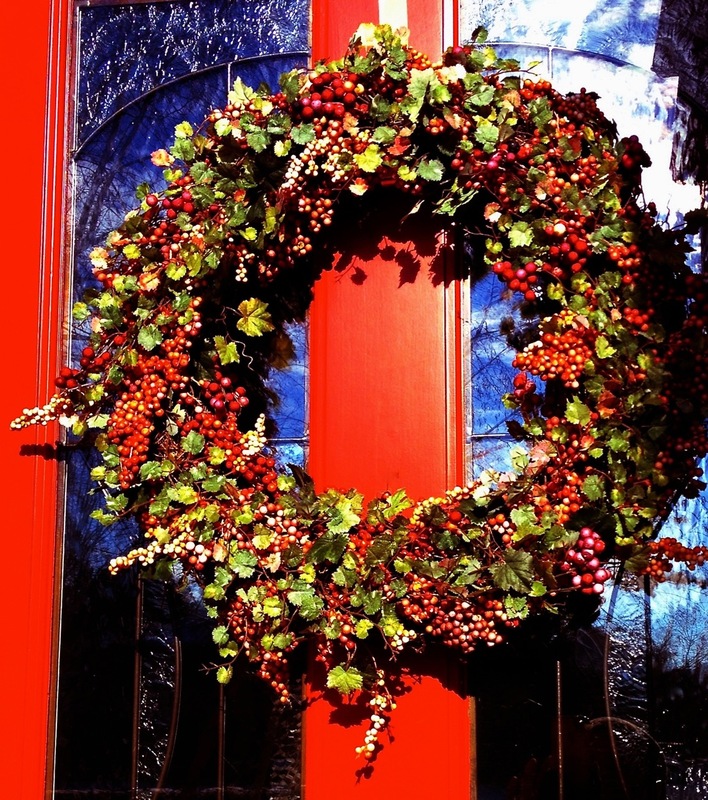 A red door with ivy and berries makes for a most festive feel during the winter season. But throw in a bright blue sky and you have something roaring amongst the sleepy winter landscape. 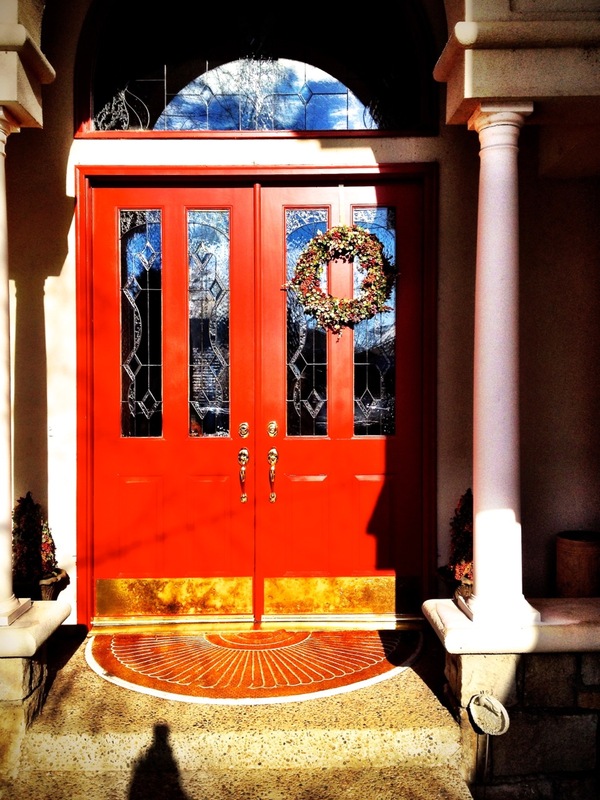 To me, one of the most fetching things here is the asymmetry of the one wreath on the double door. How about you? Do you like asymmetry? Or do you favor symmetry? Love the blue sky reflected in the glass. I tend to favor symmetry, myself. Found your site as i am searching for images to support my decision to go asymmetrical! I do plan to sort of balance the one wreath with a planter in front of the door sans wreath. If I am brave, I will send you a snap!